Do you dream about becoming a professional writer? Professional writing is any writing that you are being paid for. It can include fiction writing, a best-selling book, articles in a magazine, articles in a newspaper, blogs for companies, technical manuals or procedure manuals, copy for catalogues, newsletters, text books, writing persuasive copy for a website or on social media and academic material and so much more. 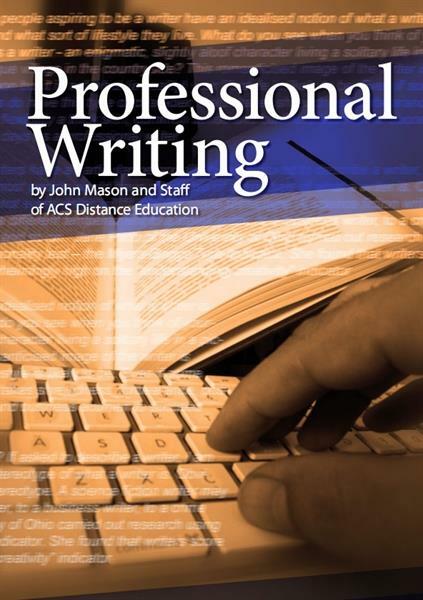 The Professional Writing ebook will help you develop your writing skills so that you can write more effectively meeting the needs of your readers and employers. How much of the job is writing? Where can you get paid for writing? What is a writer like? How do writers persuade their readers? How then do you write to persuade?